DIAMOND IN THE ROUGH. This tried-and-true 4 bed, 1 bath home sits on two lots, in a quiet town close to Interstate 65. The first floor bedroom contains French doors, as it was once a late 1800's parlor. The living room, family room, rear deck, and front porch offer plenty of space for entertaining. The newer 2 car heated garage would be a great place for winter projects. The additional garage in the back could double as a workshop. 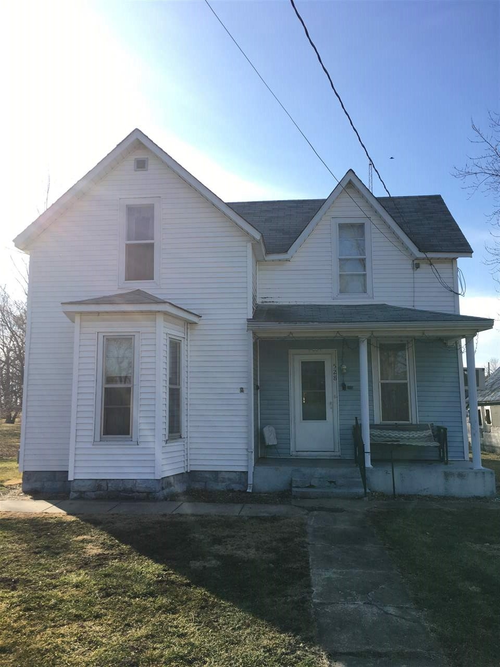 With this much character and a few cosmetic updates to this home, the potential is endless. Priced to sell and move-in ready. Selling as-is. School System : South Newton School Corp. Directions:From I-65 in Remington, go W 9 miles until you get to Benton Street in Goodland. Turn left on Benton Street. Turn right onto Mill Street. Go left onto Newton Street. The destination will be the 5th house on the right. School : South Newton School Corp.
School System:South Newton School Corp.